Author is only one of many hats worn by the enigmatic James Meredith. Born June 25, 1933, in Kosciusko, Mississippi, Meredith is best known as the first African-American student of the University of Mississippi. Meredith served in the Air Force from 1951 to 1960, including a tour of duty in Japan. He then attended Jackson State College for two years. In the fall of 1962 Meredith risked his life when he successfully applied the laws of integration and became the first black student at the University of Mississippi, a pivotal moment in the civil rights movement which sparked riots on the Oxford campus that left two people dead. Shortly after the publication of Three Years in Mississippi, Meredith conceived and organized the “Walk Against Fear,” a march from Memphis to Jackson, Mississippi, in a bold and selfless repudiation of the physical violence faced by African-Americans for exercising their voting rights. Meredith was shot on the march, and when he was physically able to resume the march, he did so, joined this time by the Rev. Martin Luther King, Jr., and other prominent civil rights leaders of the day. In 1968 Meredith received a LL.B. from Columbia University. Merediths career has included a run for a congressional seat in 1972 and, in perhaps his most controversial move yet, a stint on the staff of arch-conservative Senator Jesse Helms beginning in 1989. Merediths most recent publication is a historical work: Mississippi: A Volume of Eleven Books was published in 1995. 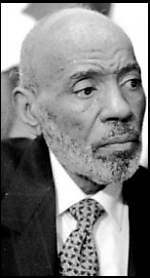 On March 21, 1997, James Meredith presented his papers to the University of Mississippi where they are maintained by the Special Collections branch of the J.D. Williams Library. Article on James Meredith (from World Book Encyclopedia). Three Years in Mississippi. Bloomington: Indiana University Press, 1966. Mississippi: A Volume of Eleven Books. Jackson, Mississippi: Meredith Publishing, 1995. “First black UM grad donates official papers.” March 24, 1997. “Campbell remembers days of turmoil at UM.” September 12, 1997. “Portrait of a Civil Rights Legend,” by John Meredith (James Merediths son). This page has been accessed 15863 times. About this page counter.